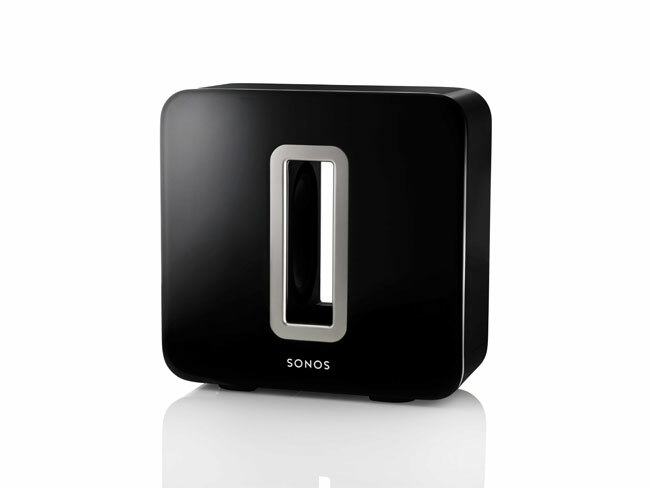 OF ALL THE gadgets I’ve reviewed over the years, Sonos (a multi-zone wireless music system that plays nice with my MP3 music library, supports streaming online radio and nearly every music service available) is one of most useful. Be it having every room in the house filled with the same music (which is great for doing the housework), or the luxury of having different music in each room (which’ll instantly appeal to anyone with kids), Sonos has become an essential part of our daily existence. Having just announced support for the Spotify music service, Sonos has also announced that they’re to deliver a subwoofer at end of June. Priced at $1599, the Sonos sub might not be the cheapest in New Zealand, but when paired with other Sonos kit, it’ll be insanely useful. While I’ve yet to get my hands on a Sonos Sub (for testing purposes), its spec sheet makes for some pretty tantalising reading: it contains two force-cancelling speakers that are positioned facing each other. This along with a clever deadened resin cabinet design, ensures that cabinet buzz is minimised so the listener can focus on the acres of foundation rattling oonst being delivered. The sub is also powered by a digital amp which means that equalisation and time alignment are done digitally using some pretty clever Digital Signal Processing, which should make for a rich sound with lots of syrupy depth at the bottom end. The sub will also feature dual tuned acoustic ports, so any bass delivered is tightly controlled.